In Mali, where half of the population is under 15 years old, the rights of children are clearly a political priority. However, a great deal of work needs to be done in order to fully realize these rights. This work includes improving access to health care and education as well as reducing poverty and child labor, etc. 36% of the population in Mali lives below the poverty line. 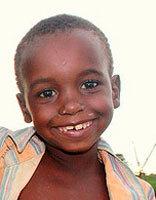 Studies show that one out of two Malian children lives in poverty. This makes Mali one of the poorest countries in the world. 65% of the country is covered by desert land while 80% of the population works in agriculture or fishing. The infant mortality rate is particularly high in Mali, with 191 deaths for every thousand births. Life expectancy at birth is also among the lowest in the world. Despite the progress that has been made in the last few years in terms of vaccinations (particularly for diphtheria, tetanus, whooping cough, and polio), many children still have no access to basic health care. Malnutrition is the number one cause of infant mortality. 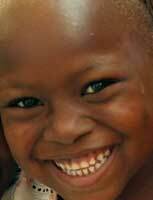 Acute malnutrition makes up 15% of the cases in Mali, and 20% of children are born underweight. Additionally, about 30% of the population has no access to potable water, which is the cause of many diseases. In Mali, female genital mutilation is widespread. Even today, 69% of girls are circumcised. The majority of girls are subjected to this extremely painful and traumatizing operation at the age of 3 or 4 (but this varies according to the region). FGM has serious consequences on women’s health; it frequently causes hemorrhages and infections. Additionally, the risk of complications during childbirth is 6 times higher for a circumcised woman. Despite the fact that the labor code in Mali, prohibits children under 14 from working, and even difficult or dangerous work is prohibited for children under 18, one out of three children are forced to work in Mali, often in hazardous conditions. The majority of children work as cleaner’s aids or on farms. Some children work in gold mines, which exposes them to work-related hazards, diseases and accidents. Many children are unable to study and work at the same time so they abandon school. Despite the international and regional agreements signed by Mali, traffic and trade of children remains a serious problem. Thousands of Malian children are sold and exploited in cotton, coffee and cocoa fields in the neighboring countries of Ghana and the Côte d’Ivoire. Although begging is officially banned in Mali, the latest studies carried out in the capital, Bamako, have recently estimated that there are more than 6,000 beggar children in the streets. Usually, these children are exploited by adults. They are forced to beg and return with a certain amount of money or they will be beaten. More than 90% of street children are boys, who usually live in a gang. They sleep in public places or under bridges. 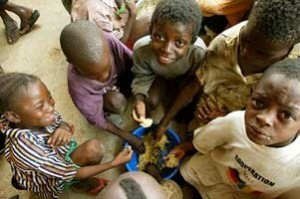 Many of them come from very large families and have decided to take their chances in the city, or they are orphans. Less than 10% of them go to school. They are often victims of violence and drugs. Sexual abuse, particularly abuse of young girls, is common in Mali. Although the punishment is severe, these acts often go unreported, for fear of retaliation from family members, who are usually responsible for them. At this time, there are no comprehensive statistics on the number of children in Mali who are sexually or violently abused. It must be noted that corporal punishment is allowed in Mali in the context of children’s education. The Family Code gives the father the right to watch, educate and correct his child. Only repetitive and particularly violent punishments are banned by the Child Protection codes. Unfortunately, this abuse is rarely reported. Only 44% of children are full time students in Mali. Schools are often far away from rural villages and classes are overpopulated. There is a severe shortage of qualified teachers, as well as the materials and infrastructure, which would be necessary for Malian schools to fulfill their roles effectively. Though the Constitution in Mali guarantees free access to school, parents are often required to pay for necessary supplies and uniforms, and sometimes even school taxes. This greatly impedes access to education for poor children. Girls are also at risk: 2 out of every 3 young girls do not know how to read or write properly. The dropout rate for girls is largely due to the high number of child marriages and child labour. Malian girls are generally married very young. 71% of young girls admit to having been married before the age of 18. The law officially permits marriage from the age of 15, though teenagers can be married before this with parental consent as well as the consent of a judge, which is frequently given. These young marriages have serious consequences on the health of young girls. This is mainly because they are not able to survive a pregnancy or childbirth, which often turn out to be complicated and traumatizing. More than half of births in Mali are not recorded. However, the government is attempting to improve this situation. Most notably, they have made it completely free to register children across the entire country and along with the UN put into place information campaigns on this subject.